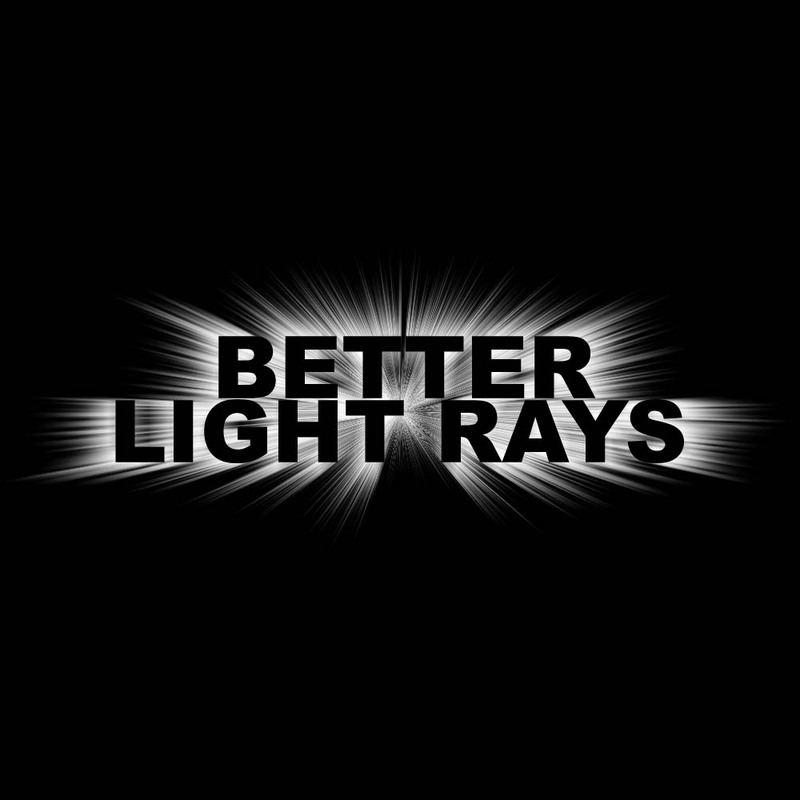 Make better looking light rays on your text using a unique combination of Photoshop Filters. 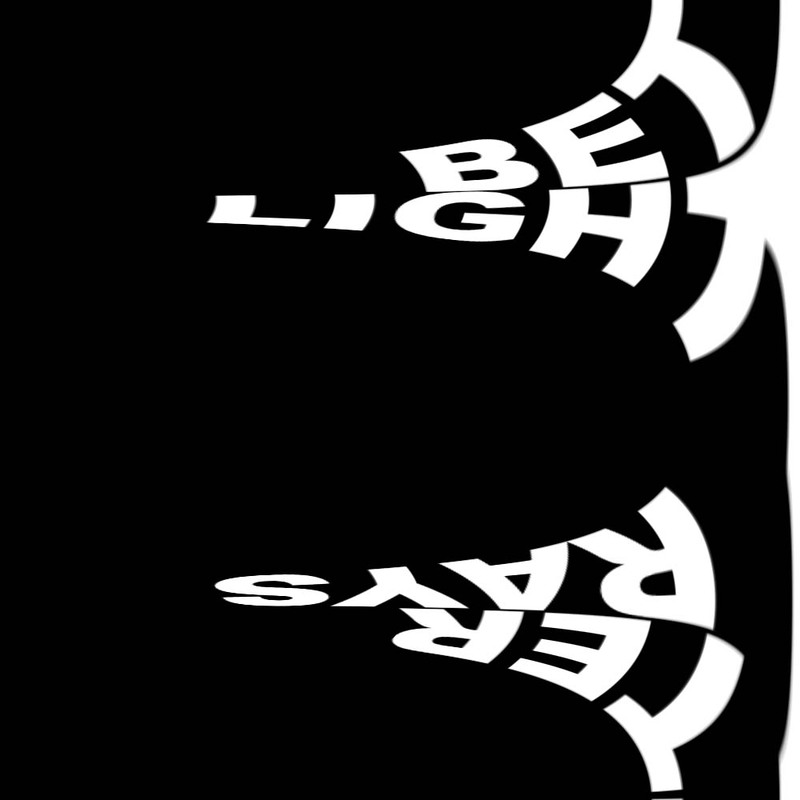 Start a new image and add your text, assuming white text on black background. In this case, we want a square image so the filters work better. We will crop it down later. Center the text and make sure you have a decent margine around it for the rays to go. 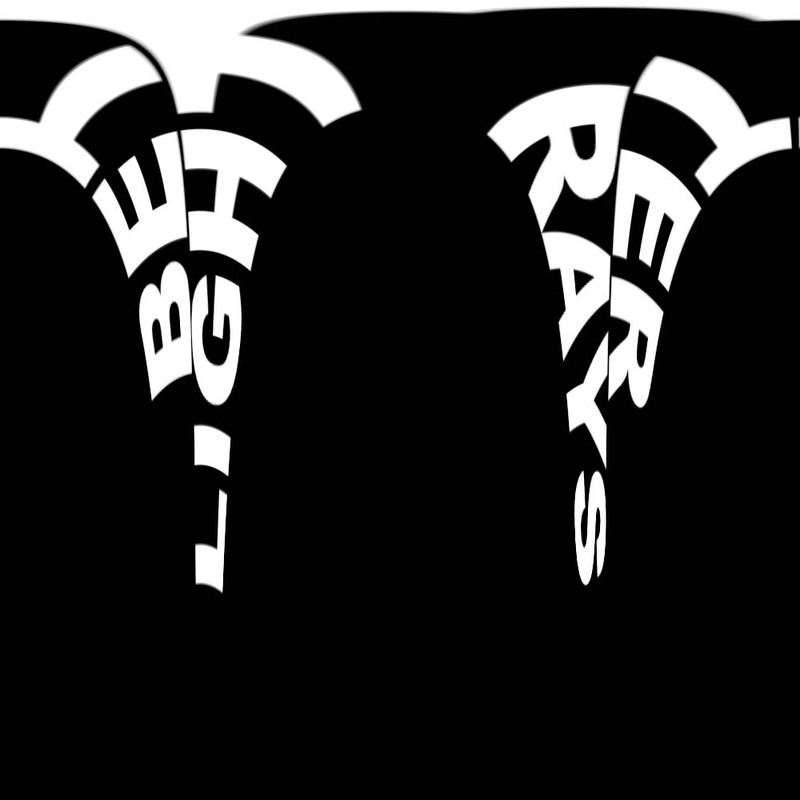 Duplicate the text layer and color it black. Hide this layer temporarily. 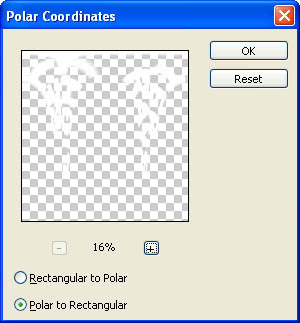 With the lower, white text layer selected, apply a Polar Coordinate conversion. Go to Filter>Distort>Polar Coordinates... 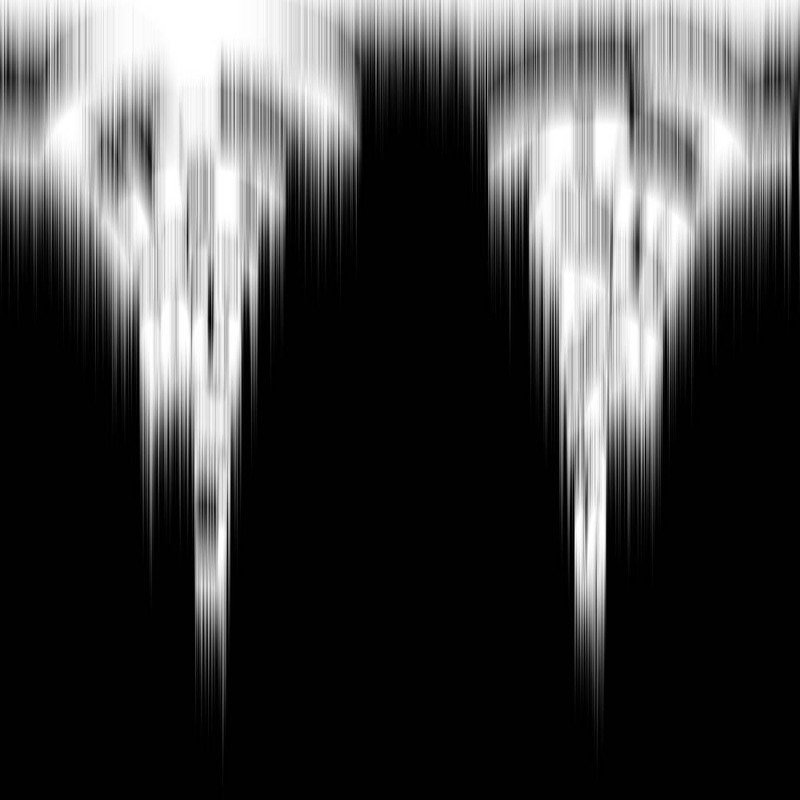 Accept that the layer will be rasterized. Set it to convert from Polar to Rectangular. Since we want rays of light, we can achieve this effect with Wind. But because Wind only goes side to side, we need to rotate our canvas. Go to Image>Rotate Canvas>90 CW. Apply Filter>Stylize>Wind..., Method Wind, Direction From the Right. Apply Wind 3 times. Apply a Motion Blur angle 0, Distance of 100. Rotate the canvas back 90 CCW like in step 3. Apply Filter>Distort>Polar Coordinates... and convert from Rectangular to Polar. 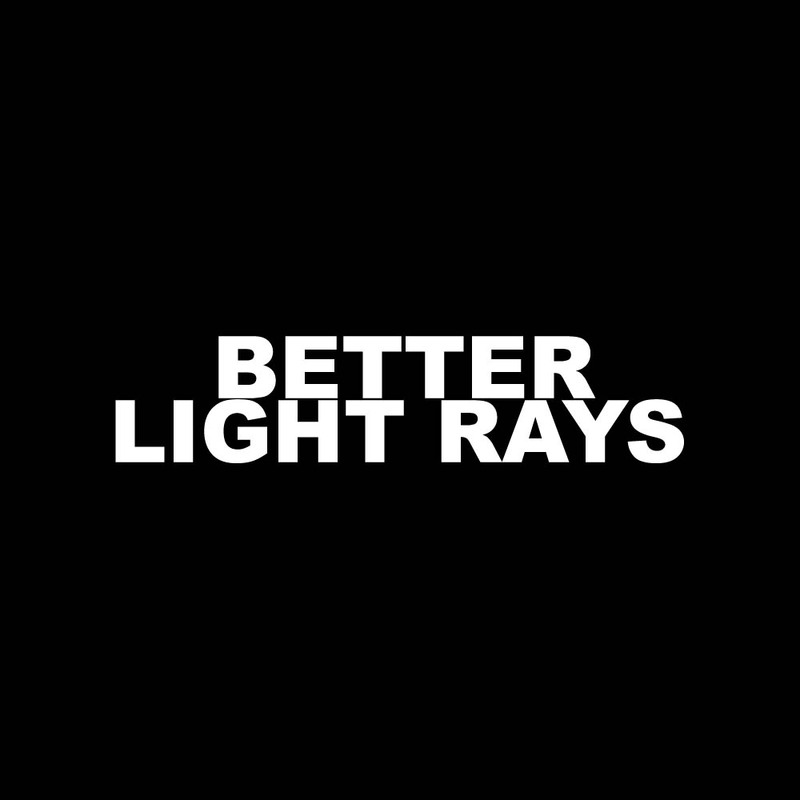 Turn the top, black text layer on. 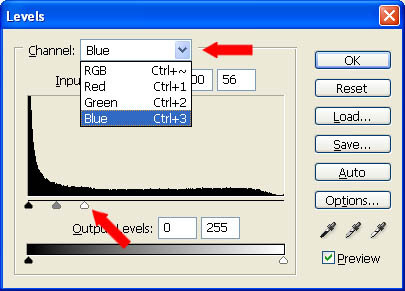 Add a levels adjustment layer (Layer>New Adjustment Layer>Levels...) and adjust the blue channel to add some color.